It’s been about three years doing this now. What was your background, music wise, before TVAM? I played around in surf and garage bands for a while. What’s been your favourite moment as TVAM so far? It’s been great being able to talk about the record now it’s finally out. Some of the reviews of the new record suggest you’re deliberately a little out of the limelight. Is that something you’ve intended? I’m a natural introvert. I suppose that goes a long way to understanding my motivations. It’s taken a few years to get to this stage. Did you feel you needed the time to get an album exactly right, or did things just work out this way? It just kinda worked out this way. It’s always been both a music and visual project so an album was never the first thing on my mind. That gradually changed when it became clear there were themes running through the songs and they added something when put together. The bedroom thing is literal, yes. It’s simply what was available at the time… I don’t know what to make of labels; I’ve sometimes put some out there myself just to muddy the waters. I don’t like one specific type of music so I don’t know how to categorize myself. How are you hoping things might change after the release of the record? I think it’s the right time to put a band together. Narcissus was added to the 6Music B playlist the other day. Does this kind of stuff mean a lot to you? What’s the music scene like in Wigan? Is it a good place to work out of? There isn’t one. That’s probably one of the reasons to make music. An audiovisual extravaganza with minimal audience participation. Cracking open Red Dead Redemption 2 and resting on my laurels. 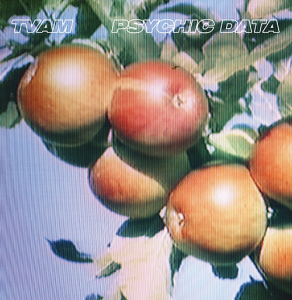 TVAM plays The Grand Social, Dublin on Friday, November 9. Tickets here.